If you've read the "About Me" page, you'll know that I've gone through all the motions of moving to Tenerife myself, so it's probably appropriate if I tell you how I went about it and what the possible pitfalls are. Moving to Tenerife - Are You Absolutely Sure? When you're in Tenerife on holiday, you might get talking to some British bar owner and begin secretly to envy his existance. Living with a climate of year-round sunshine, warm temperatures, laid back lifestyle and a chance to go to the beach whenever he wants! The "moving to Tenerife" idea begins to form. The majority of Brits, or other Europeans, who consider moving to Tenerife, imagine themselves owning a bar/restaurant. How hard can it be? Extremely. Firstly, to stand any chance of succeeding in business in Tenerife, you must either speak Spanish, or be prepared to learn it. Running a bar involves masses of paperwork, long days and evenings being cooped up on your premises (not enjoying the sunshine), having to cook meals all day in a kitchen where the temperature is similar to the surface of the sun and competing with thousands of other, similar businesses. If you have professional skills, such as accounting, you might stand a reasonable chance of finding useful work. At least, you'll be in an air-conditioned office (but still not enjoying the sunshine). For my part, I was a self-employed musician/singer. Tenerife has many live acts performing in bars and restaurants every night, so, when moving to Tenerife, I was relying on the abundance of work available to enable me to earn a living. With hindsight, I realise that you need to begin your life in Tenerife with enough savings put by to live off, if work doesn't happen fairly quickly. I'll ask the question again: Are you absolutely sure? In the few years leading up to the day we made the big move, May 5th, 1992, my then wife and I had been holidaying on the island as often as we could afford, as I, for one, had fallen in love with the place. It was my idea that we try moving to Tenerife. I loved the laidback lifestyle and felt I had the right mindset to live on this beautiful, sub-tropical island. I was fully committed. Well, people, you have to be fully committed for your moving to Tenerife to work. The first thing you have to decide is whether to sell your house in your home country, or keep it on and rent it out - in case things don't work out and you need to return home. It takes a lot of faith in the future to completely sell up and not keep the safety net of a property to return to, if necessary. I have to tell you, in all honesty, that the divorce rate between couples who risk moving to Tenerife is very high. I know I'm not selling the "moving to Tenerife" idea to you very positively, but I'm only telling it like it is. If both halves of a couple are completely up for it, then you might stand a chance. Think you might prefer mainland Spain? Then checkout www.freewayspain.com. This site offers a comprehensive information guide including golf and property services on the Eastern Costa del Sol in Spain and a selection of villas and apartments to rent in the region. Before you even start looking in Yellow Pages for an international removals firm to assist your moving to Tenerife, you need to have visited the island several times and done some serious groundwork. You need a place to live - and, if possible, a job lined up. Although it's, obviously, preferable to buy a property, it's better to take out a long let on a place initially, till you're properly settled in, with employment. You might, ultimately, want to live in a different area, so it will be a simple matter to end your rental agreement and make your property purchase. So, you need a long-let property. To get one organised, you need an estate agent. Fortunately, there are British, or English speaking ones on the island (although, as I said earlier, don't rely on everyone speaking English - you have to learn the lingo). Next, in your moving-to-Tenerife extravaganza, you'll need to organise a removals firm to transport all your stuff to your new home. There are a great many removals firms offering that service. Myself, thinking back to our move, in 1992, I can't honestly remember which one we plumped for. It got our stuff there, however, even though it arrived about a month after we did! I'll give you a sample list of firms that do moving to Tenerife further down the page, but first, let me touch on some questions about international removals. Removals firms can provide a professional packer for all your possessions. True, you can pack your own stuff, thus saving a bit of money, but a professional packer will do the job more efficiently, ensuring its safe arrival. Also, you need to note that, should any items be damaged in transit, the company is more likely to accept liability if their employee did the packing. These sort of items should be individually wrapped and packed in sturdy corrugated boxes. The professional packer will certainly do this. This very much depends on the shipping time and the schedules. You can check the websites of the companies listed below as to how frequently they ship to Tenerife. A company representative will probably have to call at your home to assess the total volume of goods to be shipped, which also plays a part in the total cost. He'll then be able to give you an estimate. As well as the time your goods spend at sea, there is the time between collecting them from your home and the ship setting sail with them on board. They may need to be stored for a time at the docks. Similarly, at the destination, they will have to be held at Santa Cruz port, while customs clearance is carried out, after which a firm will have to be arranged to make the final delivery to your new home. Different countries have different rules on the importing of certain goods. For items such as antiques or works of art, you need to contact the British Consulate. You don't have to rely on the shipping company's insurance. You can purchase "All Risk" marine insurance, which will completely cover all your possessions. Each item will be listed and valued. In the event of a claim, a representative of the insurance company will inspect the damage and decide on the amount of reparation. Delivering all over the world, this is the company that we used when we came back to England in 2003. I would recommend them as pretty efficient - although the goods were late arriving in England and we had to phone them to ask where they were. They eventually arrived, all intact. Transit times to Tenerife can be anything from four to 12 weeks. A company specialising in moves from the UK to Tenerife. Member of the British Association of Removers. 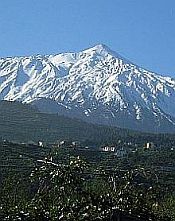 Is based in Tenerife and has storage facilities there. Another company based in Tenerife. Will provide all the professional packing services, plus help with customs documentation. The obvious advantage of this is that, if your new life in Tenerife doesn't work out as planned and you have to return home, you've got your place to go back to, instead of, if you've sold up, having to start at the bottom of the property ladder again. Of course, you may feel that not selling up means that you're not fully committing yourself to your new life, so you have to think long and hard about it. I'm aiming this information mainly at UK residents, but I suppose it'll apply pretty much the same to other countries. You need, first, to find yourself a letting agent. Most estate agents, as well as selling houses, will deal in lettings as well. As with most things, it's best to shop around to find the best deal. Once again, I can't remember who we used when we let out our house, but the agent takes a commission and he should be expected to earn it. We had an incident when our tenants, for whatever reason, decided that they weren't going to pay the council tax on the property - that was our responsibility, they said. Our agent, by way of helping us, sent us a letter saying that it was nothing to do with him and we had to sort it out ourselves. I had to write a stern reply, telling him to pull his finger out and earn his commission! When everything goes smoothly, the money from the rental can just go to paying the mortgage on the property. There are certain laws and regulations in force regarding letting out a property. Try not to be put off too much! Under this amended regulation, new levels of fire resistance have been set for items such as sofas, beds, cushions and pillows, etc. They should all have the appropriate label attached. It is your responsibility that all gas appliances and pipes should be checked annually by British Gas or a member of CORGI and the current safety certificate should be available for any tenant prior to their occupation. Any death of a tenant from faulty gas equipment can result in the landlord (you) being convicted of unlawful killing! All cables, fuses and plugs should be checked and declared to be safe. They should be regularly checked and serviced. Properties built after June 1992 must be fitted with mains operated smoke alarms on each floor. These must be regularly checked. It makes sense to apply this rule to older properties, too. If your house has a mortgage, you must obtain consent from your lender before renting it out. Your standard home insurance may be invalidated if you rent out the property. It may be necessary to purchase specialist insurance that will cover the property, the rent and legal fees. moving to tenerife isn't as easy as you thought, is it? If you have a car in your home country that you're really fond of, you may be considering the option of shipping it out to Tenerife, to save having to buy one once you're settled in. Once you read the following, you may realise that there are serious disadvantages to this. Using a shipping firm to take your car and deliver it to Tenerife. Both these firms are based in Bristol. Drive your car to Dover or Calais and get take the ferry across the Channel (or use the Channel Tunnel), drive all the way through France and Spain till you get to Cadiz, then take the ferry to Tenerife (Santa Cruz). The disadvantage of this option (apart from the total cost, which, although cheaper than shipping the vehicle, is still considerable) is the time involved. The ferry from Cadiz to Tenerife alone lasts over two days and, for two adults travelling with car, costs about £1,000 pounds. Find details of the appropriate ferry company, Acciona Trasmediterranea, on this page. Details of how to do this can be found here.